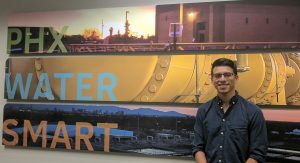 The Decision Center for a Desert City (DCDC) undergraduate internship program bridges the world of scientific research and water management by placing students within agencies to carry out their own unique projects. 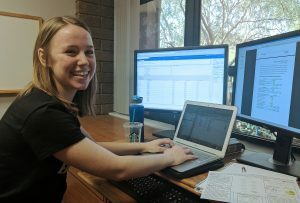 While spanning the spheres of science and policy, students conduct use-inspired research that meet academic standards of professors as well as the practical needs of decision makers. 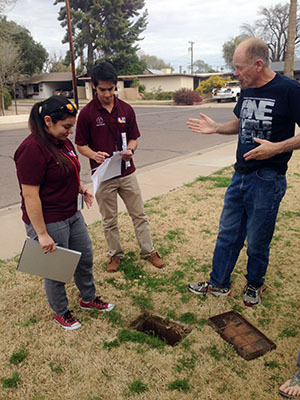 Through the program, students learn about the concepts and practical aspects of boundary research — a term emphasizing linkages between research-based knowledge and decision-making needs. 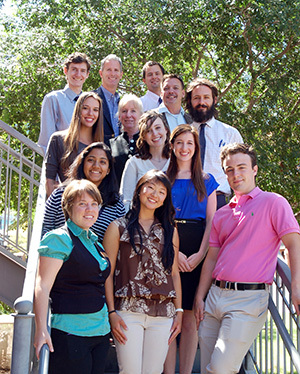 A list of internship hosts and project outcomes (i.e., research posters) are provided below. 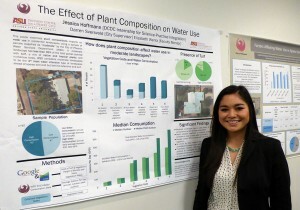 DCDC offers the ISPI internship program each spring semester (January-May) in collaboration with Arizona State University’s School of Sustainability and Barrett, the Honors College. 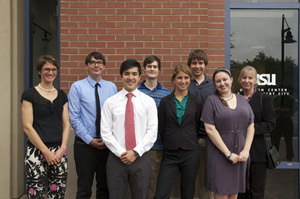 Research projects are tailored to the needs of the agency two months prior to the start of the internship. 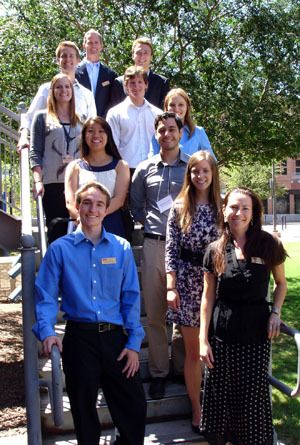 Student may receive internship credit through units including Sustainability, Geography, and Planning. Agency hosts are encouraged to submit requests to set up an internship position. Both the agency host and DCDC staff are involved in interviewing and selecting students that best fit internship positions. 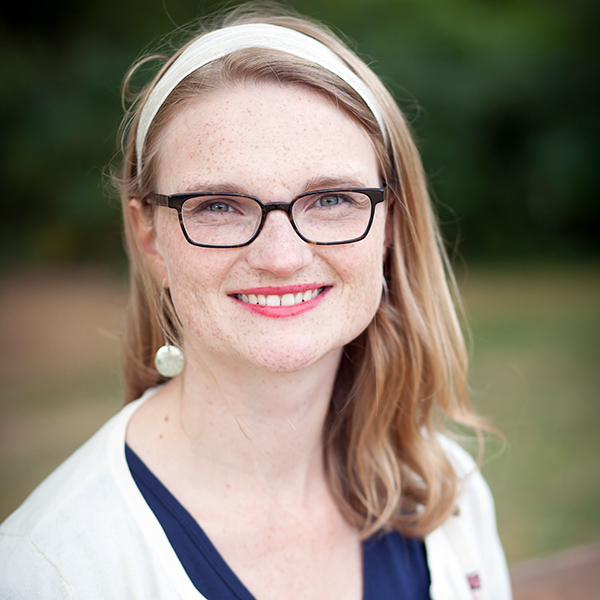 If you would like to host an internship student or would like additional information, please contact Emily Wojcik, DCDC Education and Outreach Coordinator. How can flood effects be best mitigated in the Southwest? 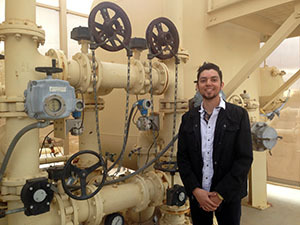 How is waste in the Salt River changing people’s perception? How much of the City of Goodyear is covered by trees? How Do We Catalyze Adaptive and Innovative Practices in Public Regulatory Agencies? What Factors Motivated the Creation of the Colorado and Kansas Water Congresses? 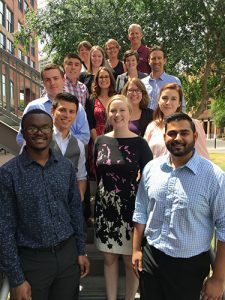 Our inaugural cohort of seven ISPI fellows came to us from a variety of academic programs. Reclaimed Water and the Role it plays in Mitigation of Surface/Ground Water Depletion.